Open your terminal by pressing CTRL + ALT + T or by looking for it in your applications launcher. 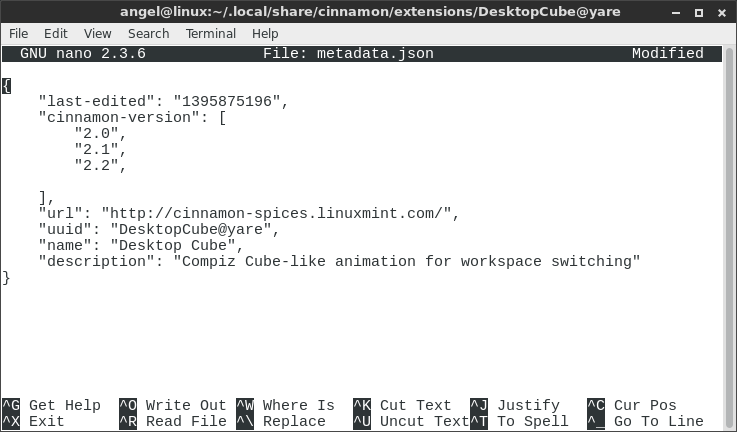 Move to the folder where the configuration of the desired extensions by doing “cd ~/.local/share/cinnamon/extensions/[extension name]” replacing “[extension name]” with the actual name of the extension. 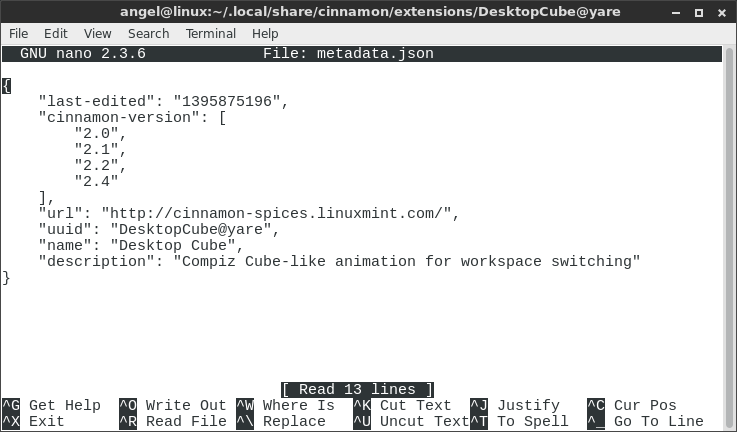 Note: If you don’t know the names of your extensions, you can always do “ls ~/.local/share/cinnamon/extensions” and see the names of your extensions, from there you can just copy and paste them into the above command. Press “CRTL + X” and then type “yes” and the file should save. Your extensions should work now. Note: Keep in mind that you might have to do this for all your extensions because most of them suffer from this problem, as you can see, it is a problem of not properly updating the extensions when a new version of cinnamon comes out. That’s pretty much it, I hope that I was able to help you fix this very annoying problem, and if I was not, then let me know in the comments and I’ll be glad to change anything in this tutorial or if I missed something also let me know. Note: This post was posted on my old website on December 23, 2014. To view the original post, click this link. Previous Article Getting the CM Storm Devastator keyboard back-lighting working in Linux.